Recently on GameCola, I described the Xbox Live Indie Game Excruciating Guitar Voyage as one of the weirdest and funniest games I’ve ever seen. The game I’m about to show you comes pretty darn close to that, based on the trailer, anyway. 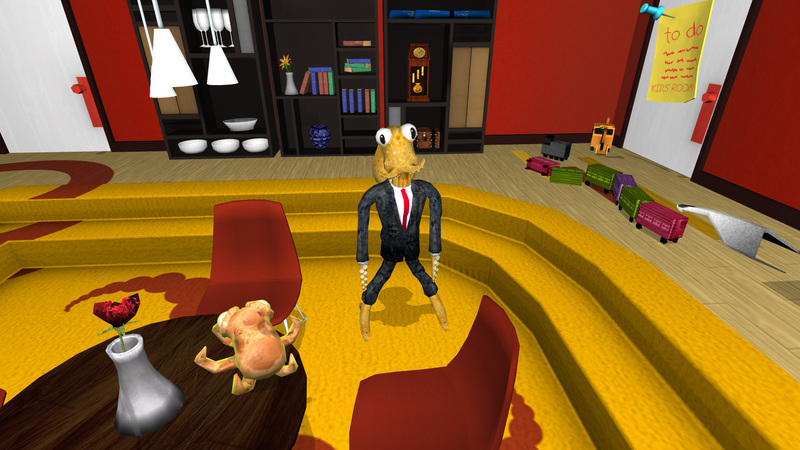 It’s called Octodad, and it’s about the trials and tribulations of an octopus wearing a suit and trying to pass as a human being. You can download the game right now for free here. Splatterhouse was a gaming milestone that paved the way for gruesome beat-'em-ups, but also paid homage to the horror/sci-fi film industry in ways that games fail to do nowadays.